New Cars- up to 100% financing and 72 months. 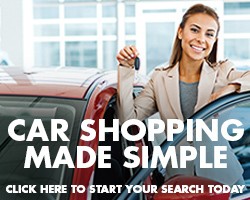 Used Cars- up to 100% financing and 60 months. Financing includes tax, tags and title. Gap Insurance is also available. All borrowers are required to maintain full coverage auto insurance on the financed vehicle. All rates are quoted APR (annual percentage rate) View Rates. All loans are subject to qualifying requirements – borrower must complete application, proof of income and auto insurance binder. All rates and terms subject to change. Terms and rates subject to credit score.